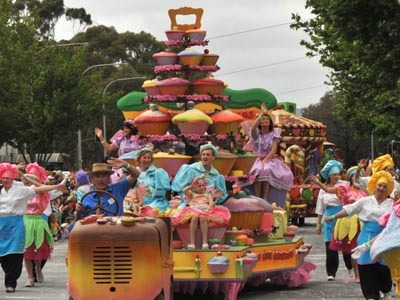 By the title, you might think I am talking about cupcakes and ice cream and a carbonated beverage, but I am actually referring to the floats that we will be seeing on Macy’s Thanksgiving Day Parade and other holiday parades. 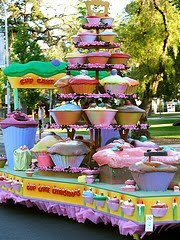 Since I will be attending a parade this weekend, I got to thinking about what kinds of cupcake floats have been done. I thought I would share what my search came up with. 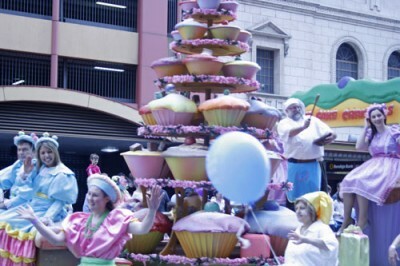 I wonder…will there be any cupcake floats in Macy’s Parade this year? In just a little over a week we will all be sitting down to Thanksgiving turkey and dressing and pie and all the other delicious Thanksgiving foods. 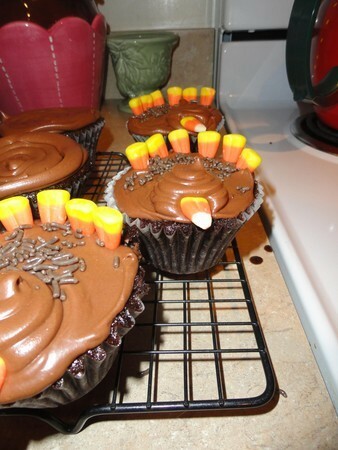 Why not add cupcakes to your Thanksgiving tradition? 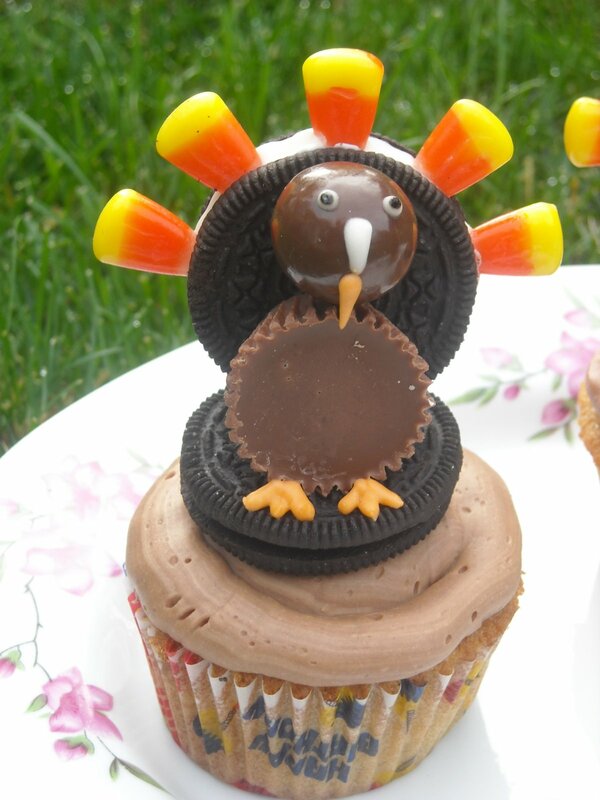 Here is another turkey cupcake recipe that I found. 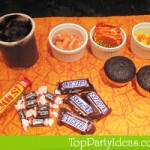 I like this one because it doesn’t require lots of extra ingredients for the decoration–just candy corn and sprinkles. Is it too early to be thinking about the holiday cards you will be sending out this year? It seems as though the second you finish your Thanksgiving leftovers someone is sending out their holiday cards. I know in my family my mom waits until the last minute to send out her cards but why not get ahead and order these beautiful cupcake letterpress cards by Parrot Design Studio. 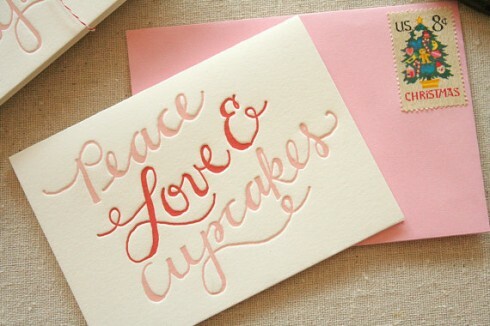 A set of six cards that reads “Peace Love Cupcakes” costs $15.00 or you can purchase an individual card for $4.00. And remember you need time for the cards to be shipped to you and then to your recipients. It’s that time of year again! We are pulling out all of our thanksgiving recipes — pumpkin pie, stuffing, candied yams, the perfect gravy, pecan pie, and the list goes on. But this year we should all put this cupcake recipe into rotation! 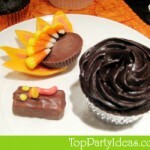 This is one of the most inventive cupcake decorations I have seen. But, don’t take my word for it, judge for yourself. 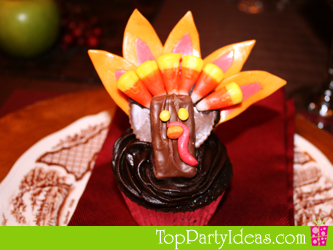 I absolutely love this turkey cupcake idea. 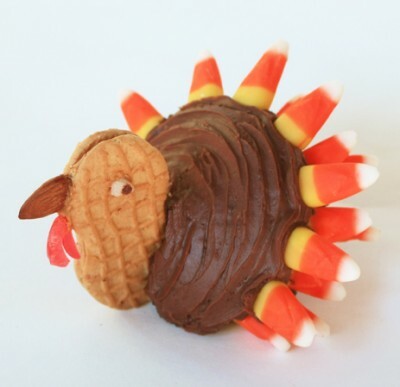 Simply turn a chocolate cupcake on its side, place a nutter butter cookie in front for the neck and head, feather it with candy corn, and then add all the details (the white tips of candy corn for eyes, an almond for the beak, and part of a red fruit roll-up for the wattle). This would make a cute and edible decoration for a party! Halloween might be over, but it’s not too late to make some pumpkin cupcakes. These would be good for celebrating Thanksgiving, or just for making a special fall treat. These Pumpkin Patch Cupcakes from Duncan Hines look very impressive, but seem extremely simple to make. Just roll an orange-frosted cupcake in orange sugar, press bamboo skewers into the frosting for the ribs, and add licorice for the stems and tendrils. Super cute and super easy! Gobble Gobble stands for TURKEY! Happy Thanksgiving everyone! I have found a great little tutorial on how to make some awesome little Turkey Cupcakes.